In Disney’s “Alice Through the Looking Glass,” an all-new spectacular adventure featuring the unforgettable characters from Lewis Carroll’s beloved stories, Alice returns to the whimsical world of Underland and travels back in time to save the Mad Hatter. Directed by James Bobin, who brings his own unique vision to the spectacular world Tim Burton created on screen in 2010 with “Alice in Wonderland,” the film is written by Linda Woolverton based on characters created by Lewis Carroll and produced by Joe Roth, Suzanne Todd and Jennifer Todd and Tim Burton with John G. Scotti serving as executive producer. “Alice Through the Looking Glass” reunites the all-star cast from the worldwide blockbuster phenomenon, including: Johnny Depp, Anne Hathaway, Mia Wasikowska and Helena Bonham Carter along with the voices of Alan Rickman, Stephen Fry, Michael Sheen and Timothy Spall. We are also introduced to several new characters: Zanik Hightopp (Rhys Ifans), the Mad Hatter’s father and Time himself (Sacha Baron Cohen), a peculiar creature who is part human, part clock. Alice Kingsleigh (Wasikowska) has spent the past few years following in her father’s footsteps and sailing the high seas. 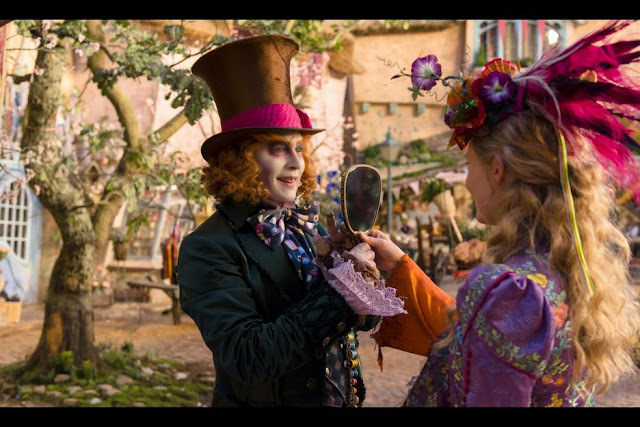 Upon her return to London, she comes across a magical looking glass and returns to the fantastical realm of Underland and her friends the White Rabbit (Sheen), Absolem (Rickman), the Cheshire Cat (Fry) and the Mad Hatter (Depp), who is not himself. The Hatter has lost his Muchness, so Mirana (Hathaway) sends Alice on a quest to borrow the Chronosphere, a metallic globe inside the chamber of the Grand Clock which powers all time. Returning to the past, she comes across friends – and enemies – at different points in their lives, and embarks on a perilous race to save the Hatter before time runs out. Presented in Digital 3D™, Real D 3D and IMAX® 3D, Disney’s “Alice Through the Looking Glass” opens in U.S. theaters on May 27, 2016. 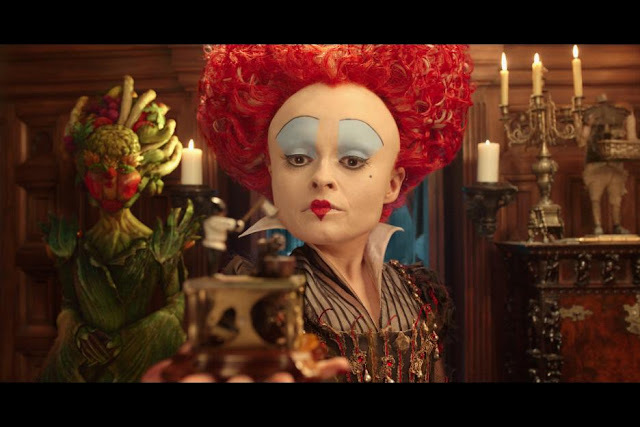 Take a look at the new full-length trailer for ALICE THROUGH THE LOOKING GLASS debuting exclusively on Facebook which features P!nk's cover of "White Rabbit." Then stick around afterwards for a Facebook Live Q&A with the Mad Hatter himself, Johnny Depp and Director James Bobin at 2:00PM PST TODAY.